Critics? What critics? 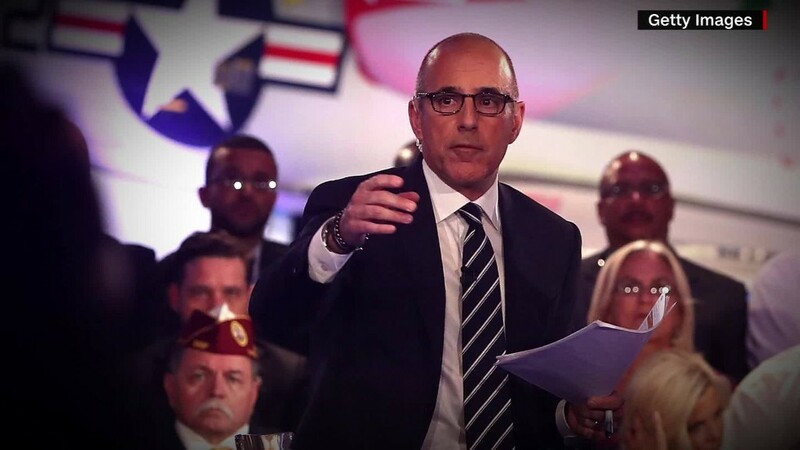 The head of NBC News says Matt Lauer did a "tremendous job" leading the network's "Commander-in-Chief Forum" earlier this week. In an internal memo on Friday, NBC News and MSNBC chairman Andy Lack thanked employees for producing Wednesday's forum and praised Lauer individually, implicitly responding to the widespread criticism of the event. He credited Lauer with "driving one of the most serious discussions to date on these topics." Separately, Donald Trump also spoke kindly of Lauer on Friday afternoon -- he said during a speech that "I thought Matt Lauer did a very good job. His questions to me were very tough." Trump seemed pleased that Hillary Clinton was questioned at length about her email practices. The Clinton campaign was not pleased with the event. It fired off a fund-raising email after the forum, pointing out that Lauer "failed to fact-check" when Trump falsely said he opposed the 2003 invasion of Iraq before it happened. Several different types of viewers -- Clinton supporters, journalists, TV critics, some members of the studio audience, and some NBC staffers -- expressed various frustrations and disappointments about Lauer's moderation of the forum. Even some NBC executives, speaking anonymously, were sharply critical. The forum put a spotlight on disparate media treatment of the two main presidential candidates and the challenges of robust fact-checking by interviewers. NBC News had no comment about the uproar on Thursday -- meaning no network officials publicly defended Lauer. But Lack, who was intimately involved in the production of the forum, weighed in on Friday via the internal memo. "Against all odds we were able to bring the two presidential nominees together for the first time," he said. It was, indeed, a difficult event to pull off. NBC and the veterans group IAVA negotiated many of the particulars with the Clinton and Trump campaigns. Up until the final day, there were concerns that Trump might back out, one of the organizers said on condition of anonymity. Both campaigns supported the choice of Lauer as moderator. Lauer, a well respected broadcaster who has co-hosted "Today" for almost 20 years, has not directly addressed the controversy over the event. "Because of our event, national security has dominated the news cycle for days," Lack wrote. He called it a "remarkable achievement."